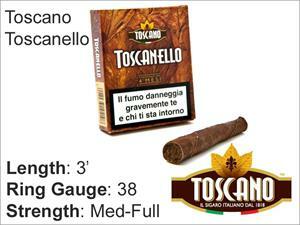 In 1818, the Grand Duke of Tuscany, Ferdinand III, founded a tobacco factory which manufactured Toscano cigars. A bale of Kentucky tobacco leaves which had been drying in the open were caught in an unexpected downpour of rain. The wet tobacco started to ferment in the summer heat. Instead of throwing it all away, he decided that the fermented tobacco be used to produce cigars to be sold in Florence. It gained popularity amongst Italians, thereafter it became a regular production. 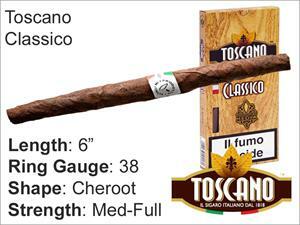 Today, the Toscano brand cigars are manufactured by Manifatture Sigaro Toscano SpA located in Lucca and Cava de' Tirreni.